Are you securing your end-points? The number of vulnerabilities in the Top-50 most popular programs typically installed on end-user PCs is increasing at an alarming rate. 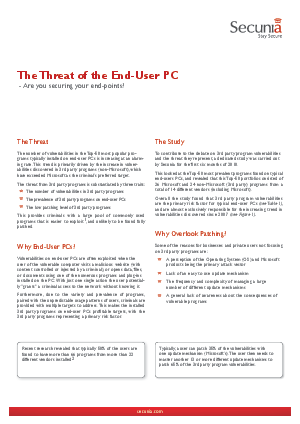 This study identifies the 3rd party program vulnerabilities and the threat they represent.